There is much more to color than meets the eye. Strangely enough, us humans have a close emotional bond with the visible light aspect of the electromagnetic spectrum, a bond so strong it can easily make us feel stressed out with a raised heart rate or leave us with a warm and fuzzy sense of satisfaction. If you’re looking to cool your jets and relax, one of the most calming colors to be surrounded by, according to a global survey from paper merchant G F Smith and psychologists at the University of Sussex, UK is navy blue, closely followed by teal-like turquoise, and soft pastel pink. The World's Favourite Colour Project involved 26,596 participants from over 100 different countries, possibly the largest ever color study, to get some insights into the world's most beloved color. To do this, they asked the human guinea pigs to list attributes and emotions that they associate with certain colors in the hopes of also finding out what different hues mean to different people, and what may influence this. “Many studies have investigated the link between color and emotion. Although not all of these studies agree, some consistent results can be extracted from the literature,” Professor Anna Franklin, a leading expert in color psychology at the University of Sussex, wrote in a blog post about the project. 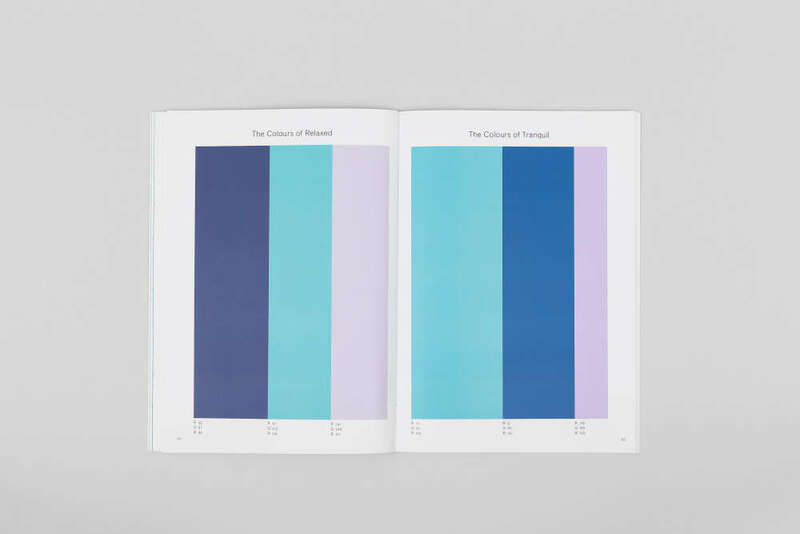 The colors of "relaxed" and "tranquil" from The World's Favourite Colour Project. Courtesy of G F Smith. The findings also showed that orange is most often associated with happiness, while pink is viewed as the sexiest, and the colors people around the world most associated with luxury are white, purple, and orange. In case you were curious, most people’s favorite color appears to be green or blue, although there was a lot of variety in the results. According to the ecological valence theory (just one of a handful of color preference theories), humans appear to be fond of these colors because they’re associated with environmental features we can benefit from and enjoy, such as clear skies, clean water, and vegetation. That also explains why we tend not to like murky brown colors, as we link them to dirty water, poop, and disease. Another page from The World's Favourite Colour Project. Courtesy of G F Smith. 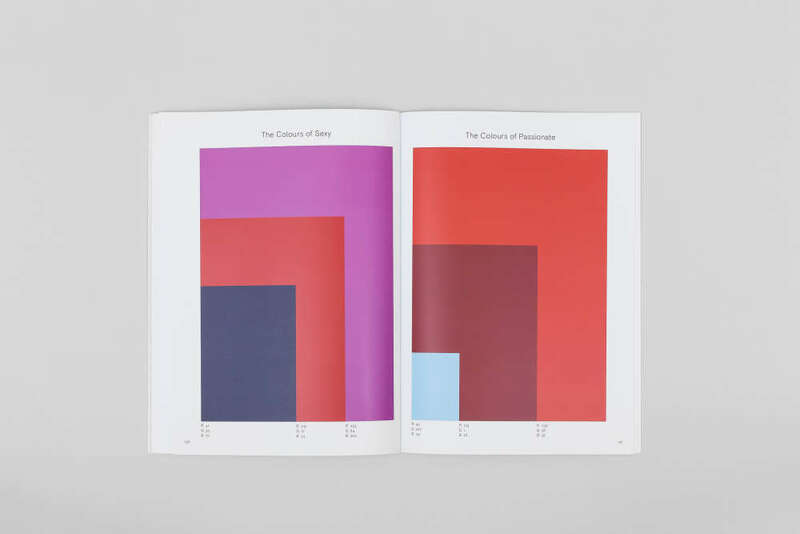 However, while certain colors seem to embody a universal characteristic – for example, red equates to anger – it’s worth remembering some interpretations of color can vary hugely between groups.